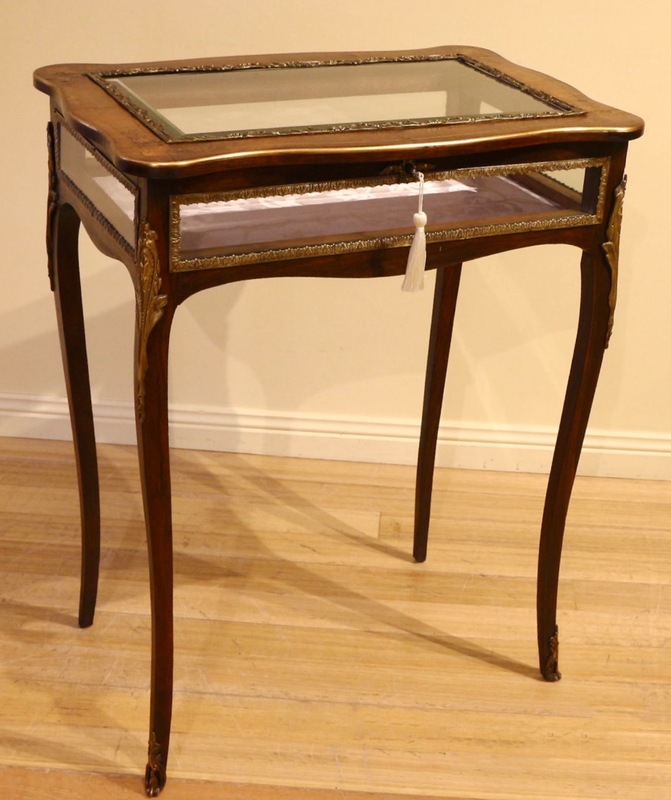 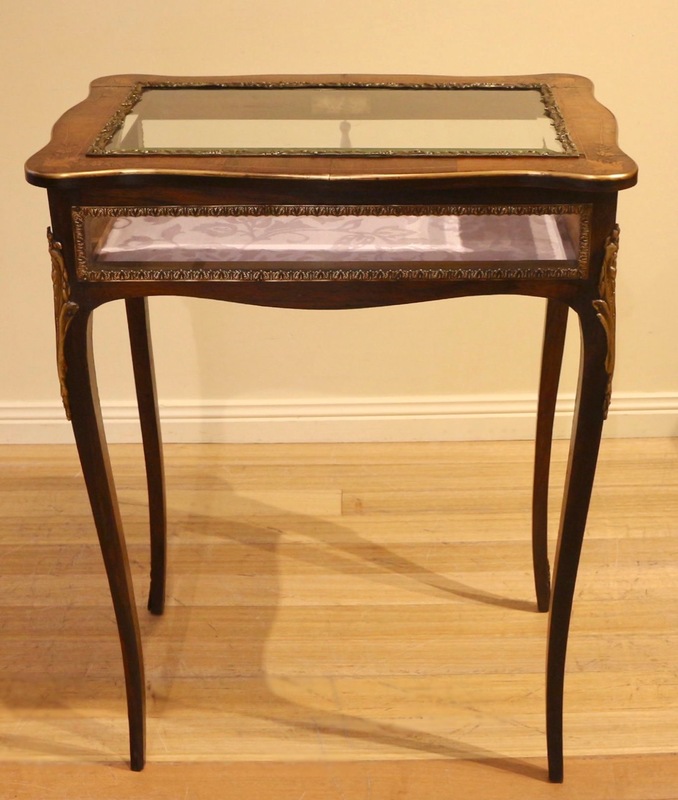 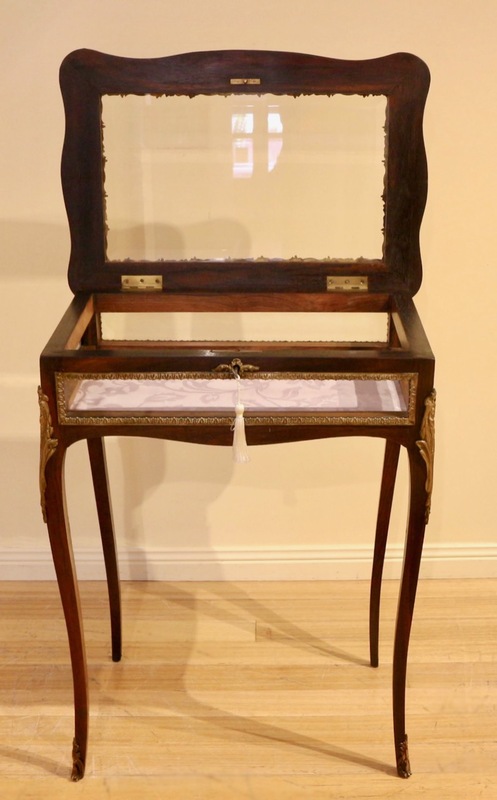 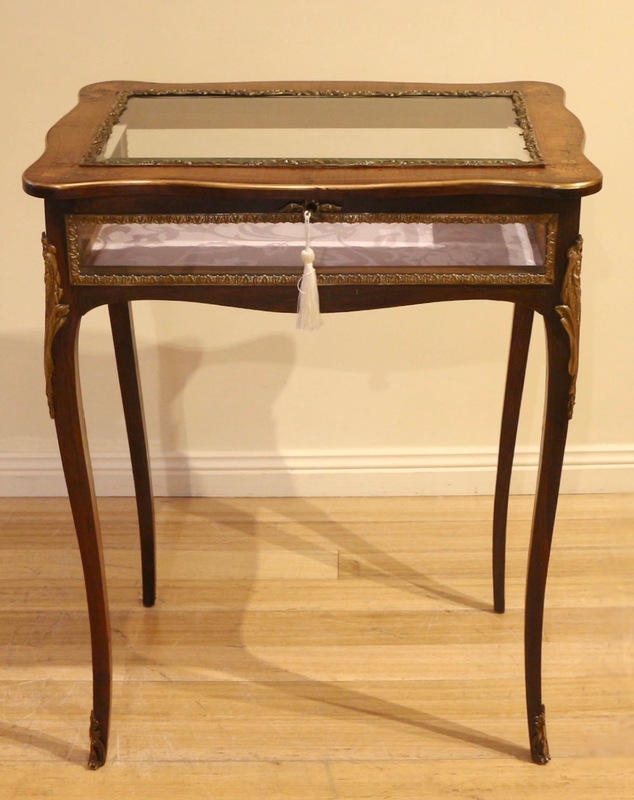 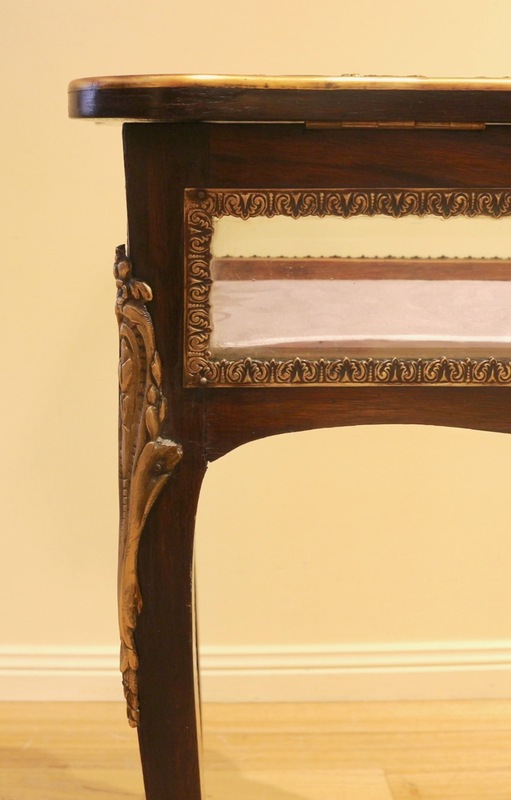 Early 20th Century French Rosewood Vitrine or Display Table with fruitwood inlay & gilt brass mounts. 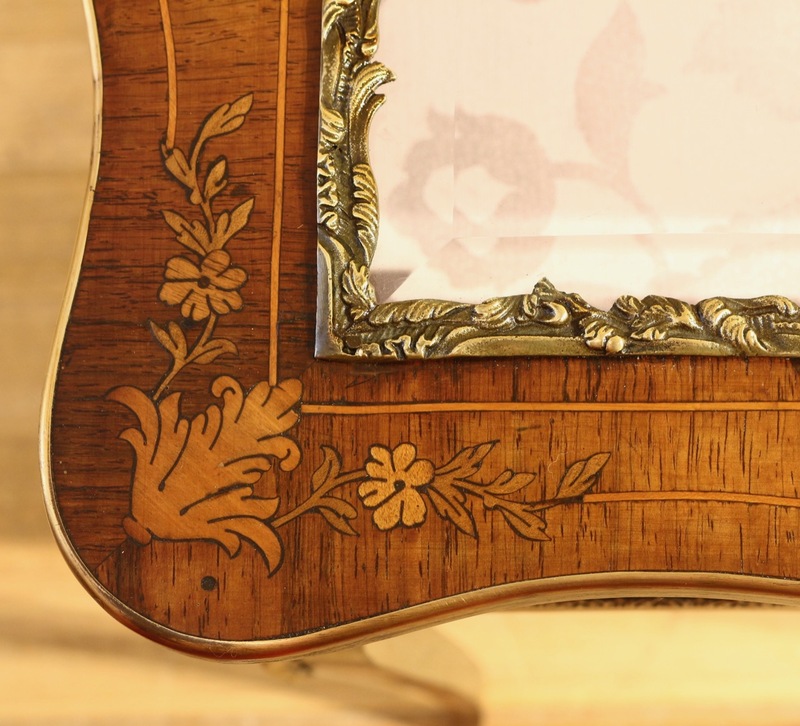 Nice old revived finish, re-lined interior. 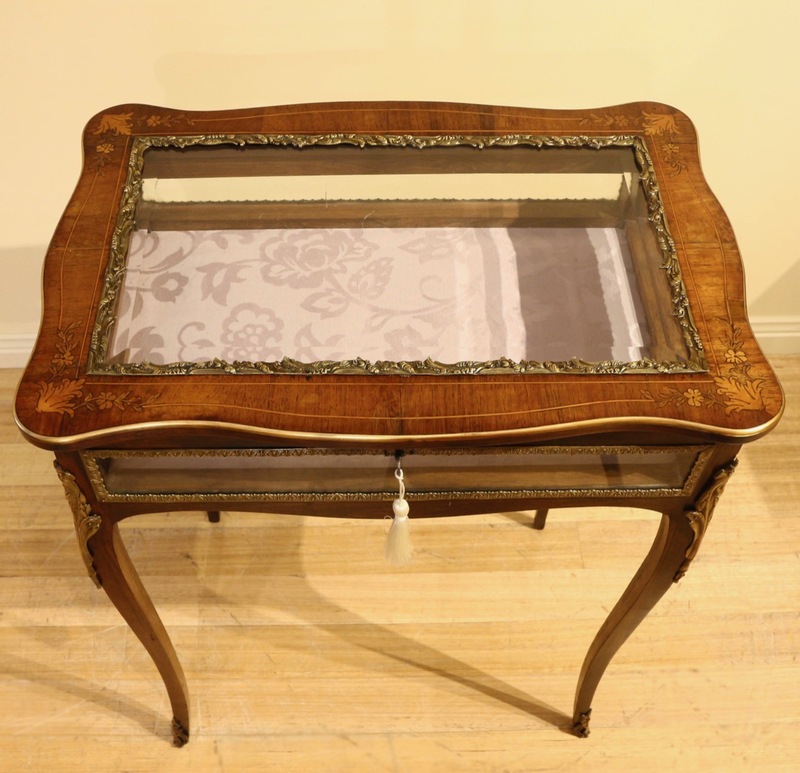 Original bevelled glass to top, lockable with key.